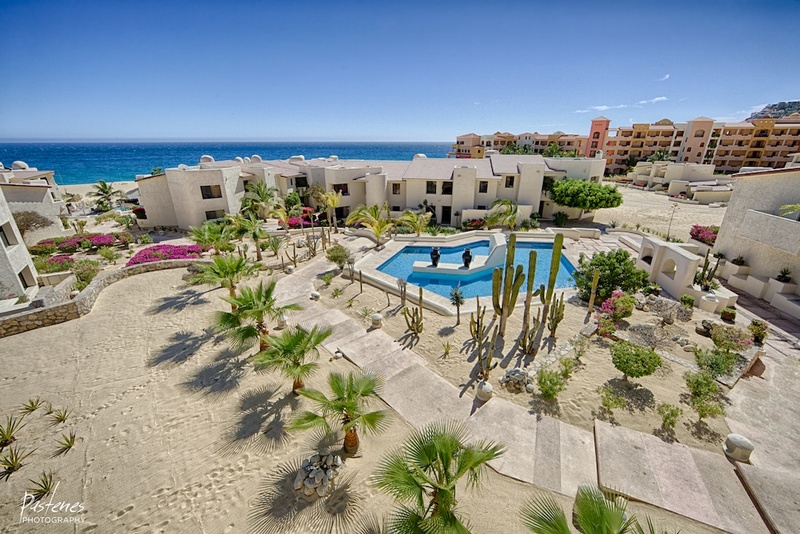 You can walk onto beach sand within meters of our condo – 25 meters over beach to either the 1st or 2nd pool and another 75 meters to the edge of the ocean. 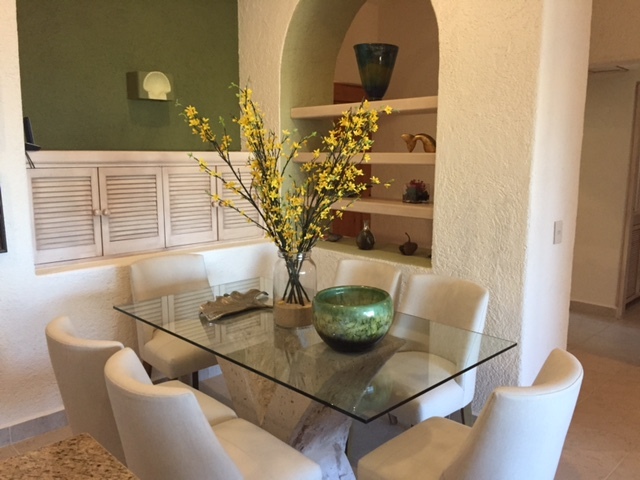 Is tastefully furnished with fine authentic Mexican craft and modern artwork, comfortable and tasteful furniture and tables, stunning wall hangings, planters, crockery, and cabinetry. 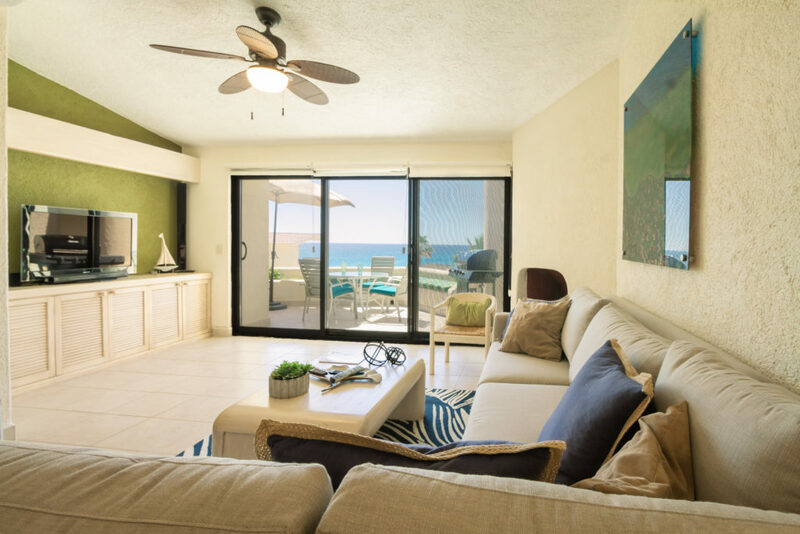 WI-FI: We have added WIFI to unit 219 – giving you High-Speed, password-protected Secure Internet Access in the condo and on the wrap-around Deck. We couldn’t have been happier with our trip. We stayed in Unit 219. 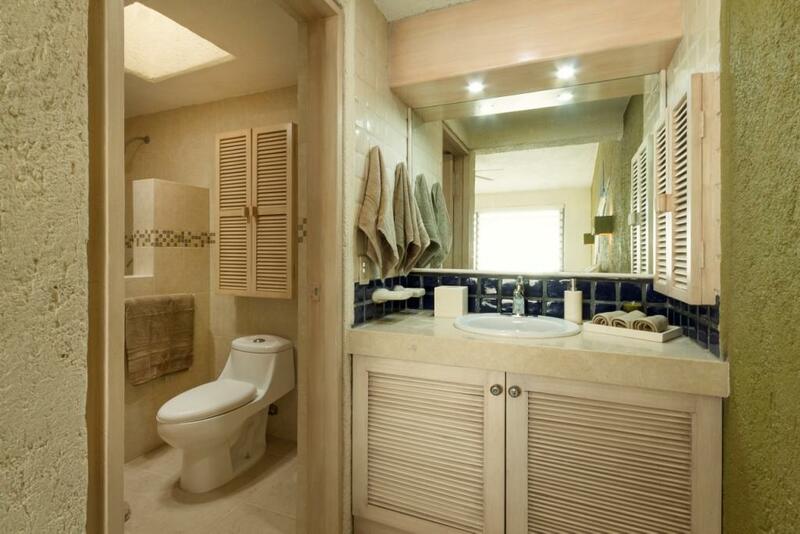 The layout was nice and spacious, the bedrooms were large. Everything was clean and nicely decorated. 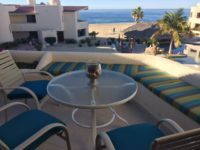 Our favorite feature of the condo, by far, was the view from our deck which looked directly over the Palapa bar/pool and out over the ocean. 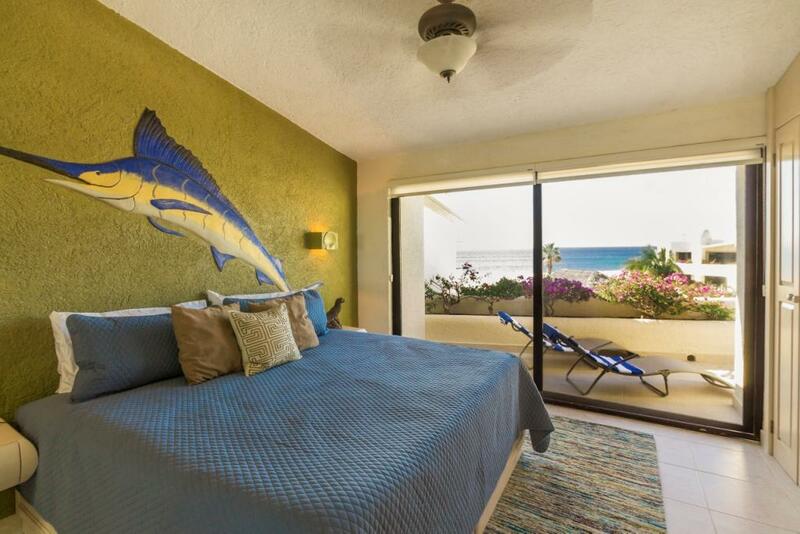 We had the same view from the master bedroom as well as from the kitchen. The bed was very comfortable. We never felt the need to turn on the air conditioner as that unit had a constant pleasant breeze running through it since we left the sliders open with just the screen doors closed the whole time. The quiet, quaint feel of the Terrasol was so relaxing. The food at the Palapa was very good and fresh, the drinks were perfect and everything was super affordable! All of the staff at Terrasol were friendly, warm and helpful. The walk to downtown and the Marina was less than 10 min. Craig was super quick to respond during the booking experience. 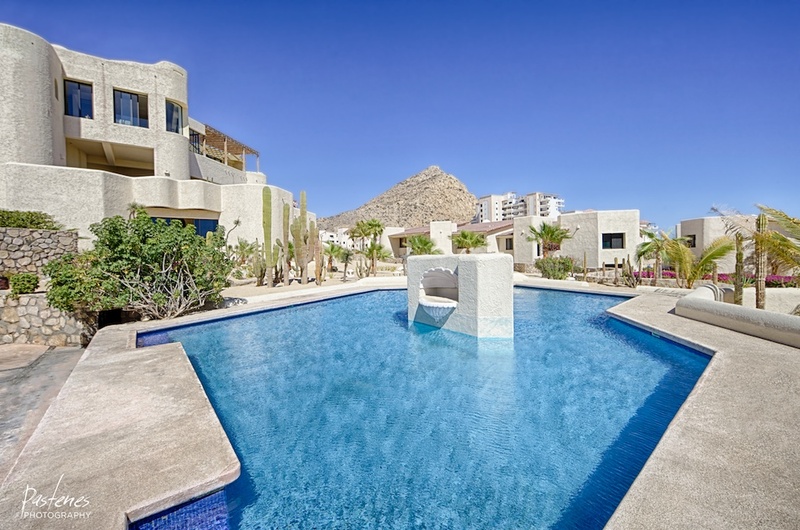 Everything was explained very well, payment was easy to make, and I was so happy to receive the thorough list of suggestions he sent to make our vacation so much easier and more enjoyable. We actually stayed in Unit 219 and honestly, the condo could not have been more perfect. 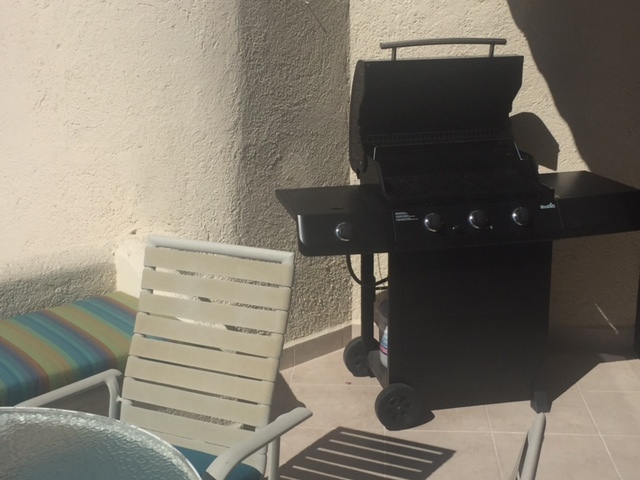 When we opened the front sliders when we got inside the condo and we only opened and closed screen door our entire stay – that cross breeze throughout the condo was delightful. Everything was honestly just perfect. The layout of the Unit 219 nice and spacious, the rooms were large (we only used the master). Everything was clean nicely decorated. 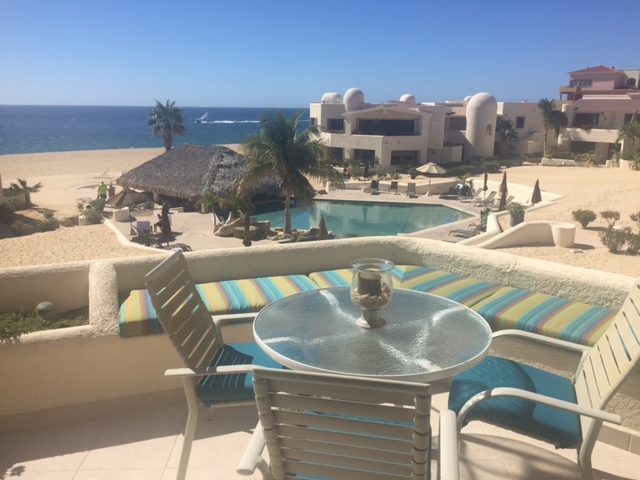 Our favorite feature of the condo, by far, was the view from our deck which looked directly over the Palapa pool and out over the ocean. We got to wake up each day and fall asleep each night to the sound of those huge waves, and it will be an experience I won’t ever forget. The bed and linens were so comfortable. The leather sofa was nice and cool to sit on when the day got a little warmer, and we never felt the need to turn on the air conditioner as that unit had a constant pleasant breeze running through it since we left the sliders open with just the screen doors closed the whole time. We did take the time to explore some of the other units you had since they were vacant. Carlos was very helpful with that. 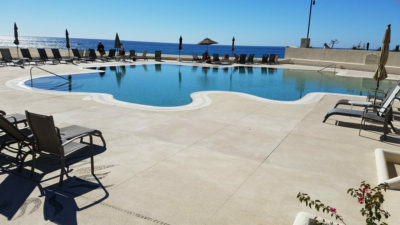 We are SO GLAD we chose to stay at the Terrasol as my husband’s sister suggested when our plans fell through to stay at Pueblo Bonita Sunset Beach. The quiet, quaint feel of the Terrasol was so relaxing. 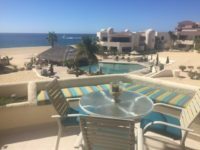 We did visit the two neighboring Resorts (The Playa Grande,” and “The Grande Solmar,” and it was just a very different, vibe. We were disappointed when we ate dinner at the “Playa Grande” our last night. 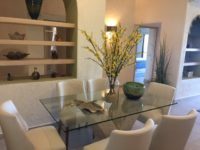 The food was good, but the atmosphere and service were disappointing in compared to the attention and service we received from Mario at the Palapa Bar when we dined there for our meals (which was often). The pool was where we spent most of our time and Mario’s kindness, attention and warmth during our stay made it even more enjoyable. The food at the Palapa Bar was so very good and fresh, the drinks were perfect and everything was incredibly affordable! All of the staff at Terrasol were friendly, warm and helpful. We especially enjoyed Carlos at the front desk and Mario at the Palapa bar who has been there for over 20 years, with a smile on his face every day! 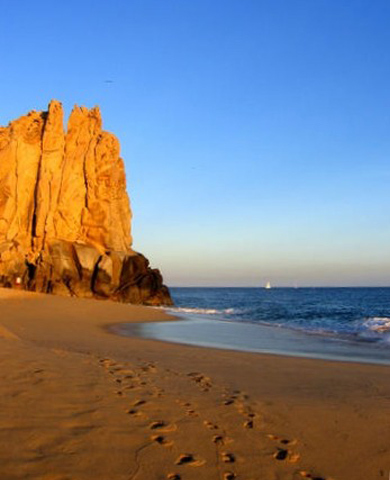 We did take the quick walk (literally less than 10 minutes) down to the Marina and downtown Cabo a few times. We stopped for drinks at Agave on the marina during a particularly hot day because it was small and shaded and had a great breeze flowing through to cool us off. The owner and staff there were pleasant, friendly and conversational. We ended up going back there two more times during our stay in Cabo and they remembered us and what we’d had to drink the first time. We only went to Medano beach one time. We took a short water taxi over there and spent an hour or so having a small lunch and drinks at “The Office.” Again, Medano beach was a vastly different vibe than the Terrasol. Tons of people and vendors and more of a party vibe, which was fun, but also nice to be able to go back to our tranquil spot at the Terrasol. We do wish we would have dressed better for our venture to Medano beach. We would have thrown our suits on and bathing suit covers and flip flops so we could have gone into the water and hung out a little longer there without getting too warm. It’s a very casual atmosphere and most people were dressed in bathing suits, cover ups and flip flops :-). We would have liked to have gone at least one more time, but we simply ran out of time. Craig was super quick to respond during the booking experience. 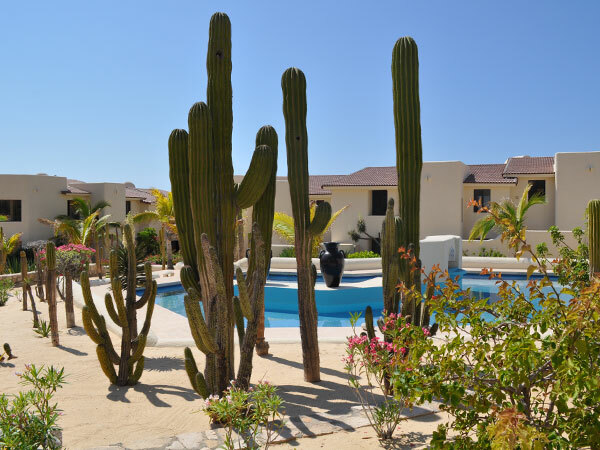 Everything was explained very well, payment was easy to make, and I was so happy to received the thorough list of suggestions he sent to make our vacation easier and more enjoyable. 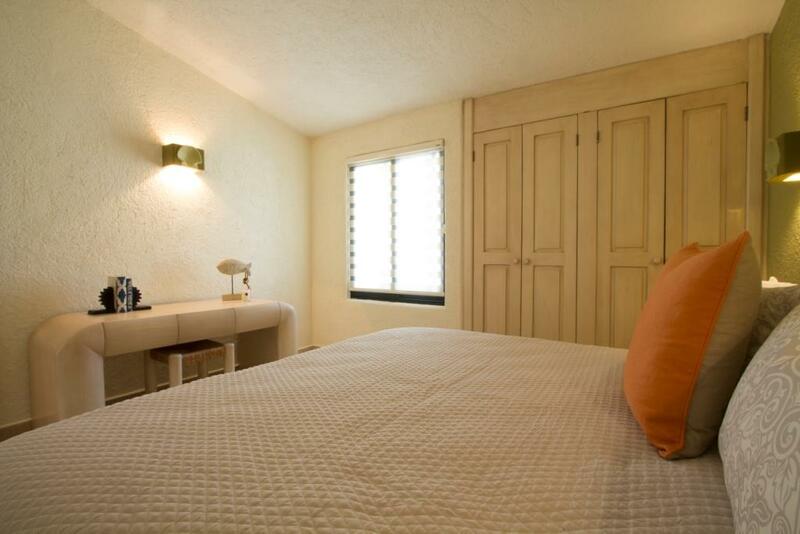 We will definitely be staying at Terrasol again and we try hard to get Unit 219 as we loved it so much. 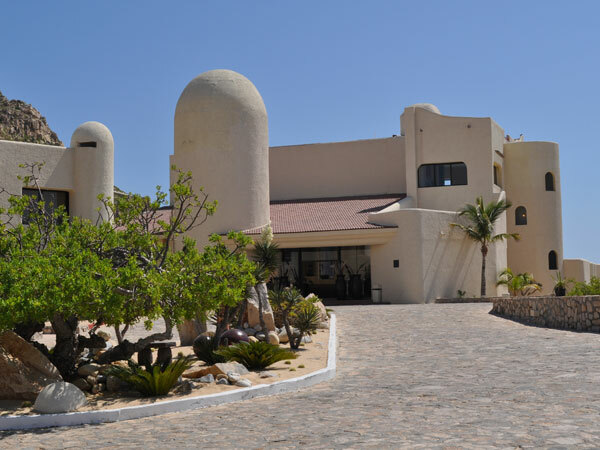 Next time, we will venture out a little more and take the time to go into Todos Santos, and especially Flora Farm which was suggested to us several times and we just didn’t take the time to do it. 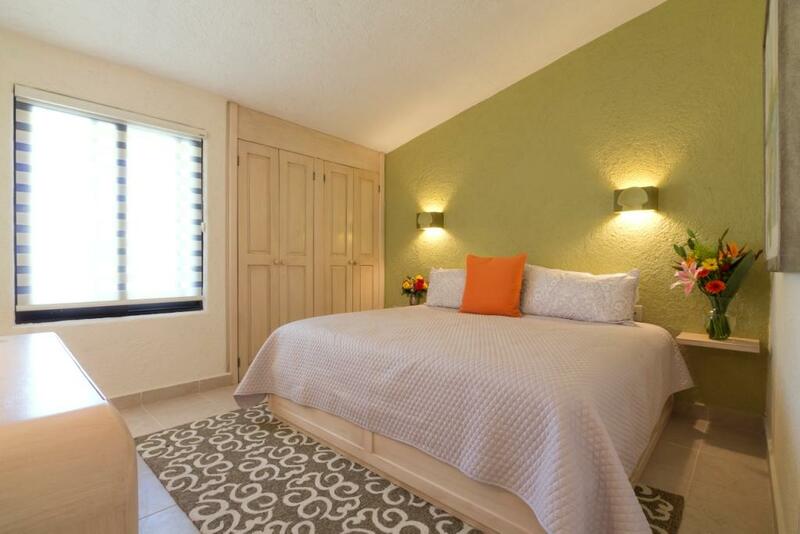 We rented a 2 bedroom condo @ Terrasol, room 219. 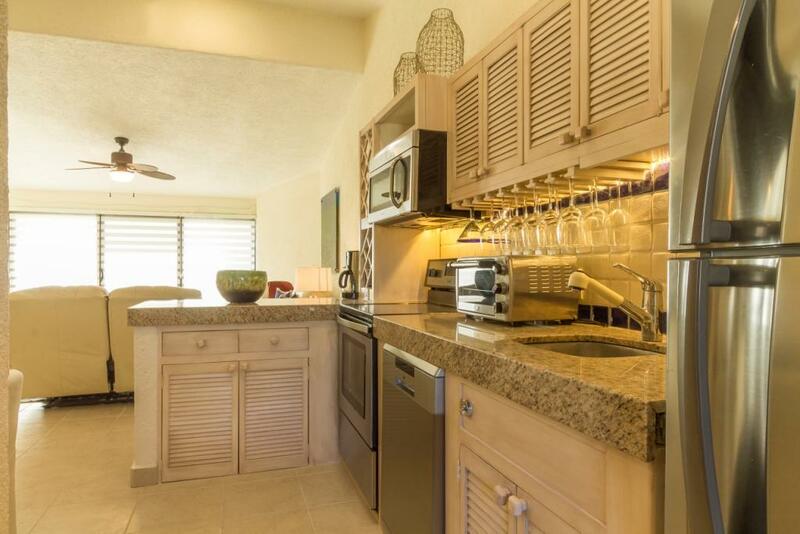 Condo was comfortable with plenty of dishes/glassware and cookware. Living and dining area are perfect for relaxing and enjoying drinks and food. King beds were comfortable and the bathrooms were updated and had plenty of hot water. Washer/dryer unit a plus. Closets could have used a few more hangers. The view from the balcony is breathtaking. We enjoyed almost every meal/snack and down time on the balcony enjoying the view and sounds of the ocean. Just beyond the pool is the beach where we saw beautiful sunrise and sunsets. We were able to see whales from our location and walked the beach to climb over the rocks to Divorce Beach and then onto Lovers Beach. 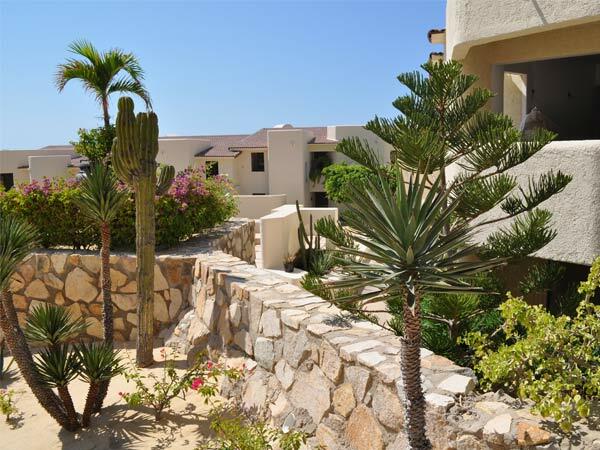 Terrasol is easy walking distance to the marina and downtown Cabo. We enjoyed walking everywhere and even climbed Mt. Solmar and walked to the local swimming beach which was just a few minutes away. 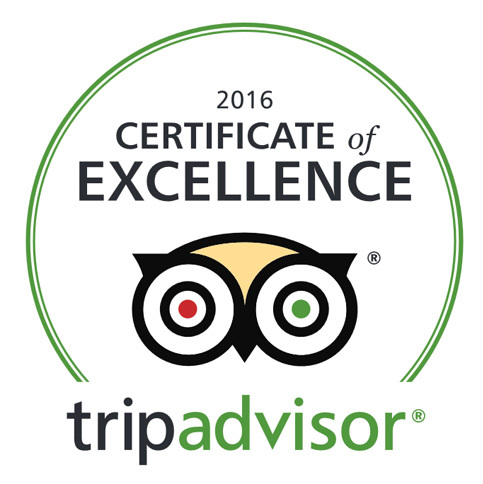 The Terrasol staff was always friendly, professional and ready to help. 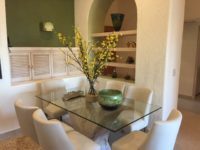 Booking was easy with Craig and we did utilize his recommendations. You cannot swim in the ocean at this location but Terrasol has 2 fantastic pools and the swim up bar and restaurant will not disappoint. 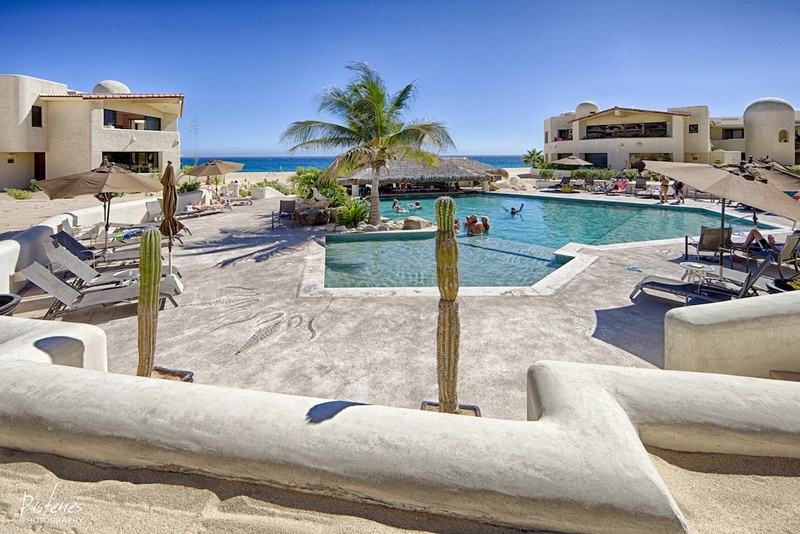 The palapa bar serves the best food and drinks. Mario at the bar/restaurant will take great care of you. They boast having the best pancakes and they are really pretty good! 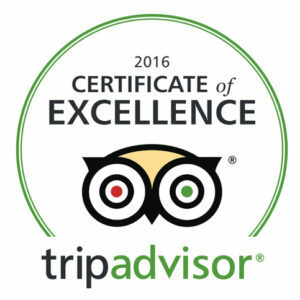 Overall, we had a wonderful experience and would recommend Terrasol for anyone or family looking for privacy, quiet and gorgeous views. This was our first time at Terrasol and we really enjoyed it. 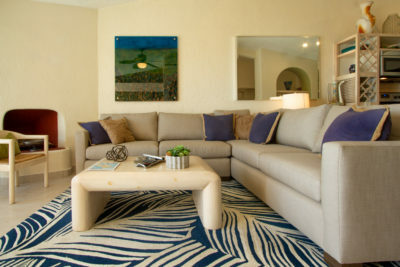 We stayed in Unit 219 – it was beautiful and had great views of the ocean and easy access to pool. 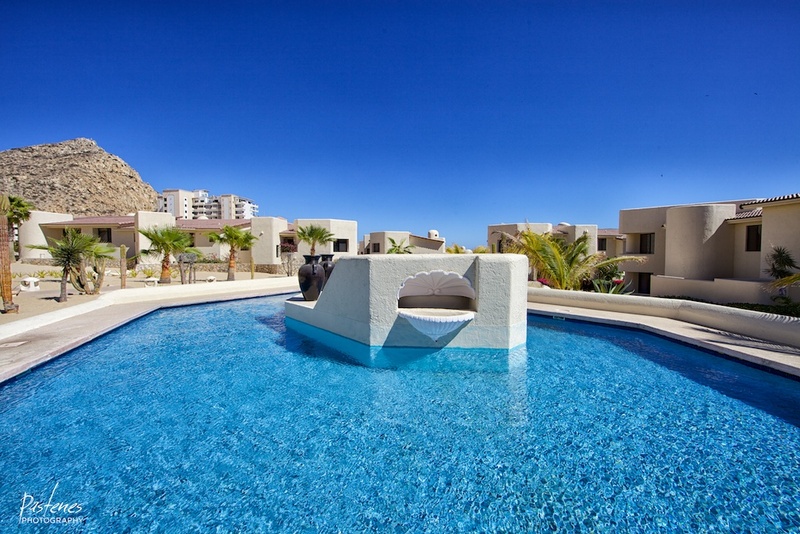 The location of Terrasol is ideal for walking to the marina and into town. There a very few properties that I have ever visited that have so many superlatives. 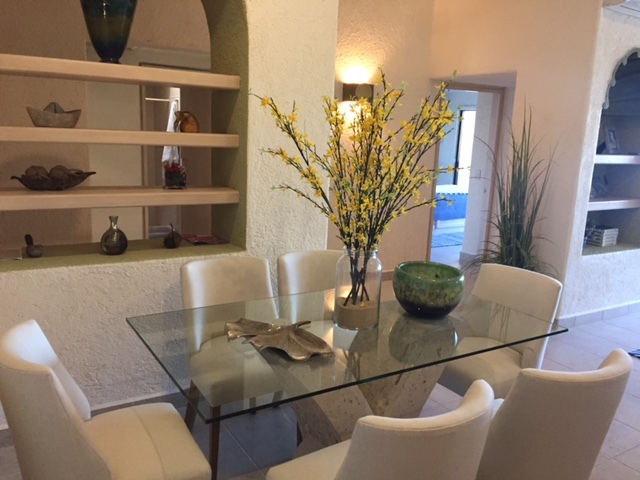 As a family that loves to travel its very difficult to find something that is affordable, and as beautiful as Terrasol, and especially unit 219. 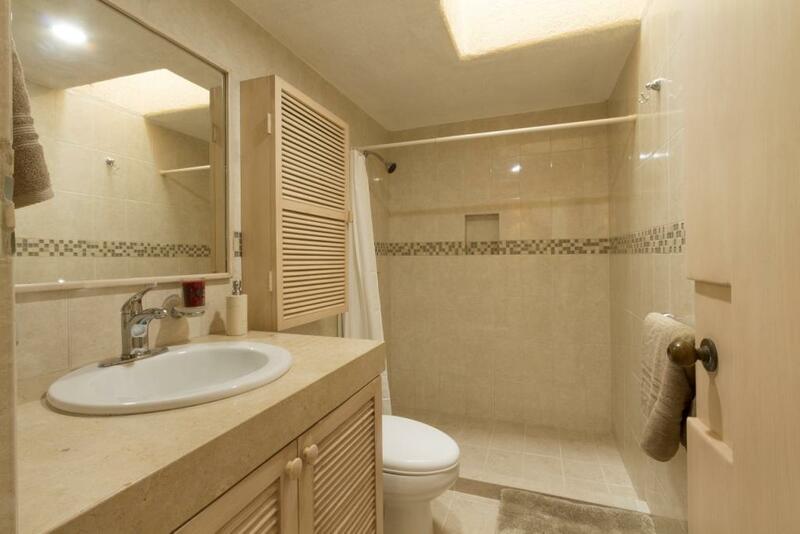 The condo has lots of room and has been completely renovated, with all new appliances and amenities. As I’m writing this, my wife is dying for me to tell you about the whales we saw breaching off the shoreline right in front of us as well as the amazing sunsets. The weather was perfect, and we kept the windows open at night to hear the crashing of the waves. 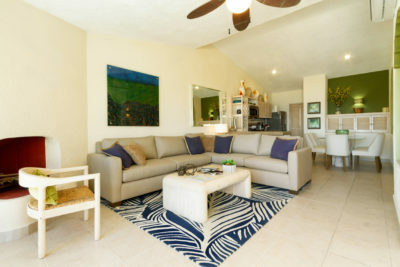 This has to be one of the nicest units at Terrasol, and our only regret was that we wished we could have stayed another week. We have already spoken with the owners about coming out again in March. Love it, love it, love it! PS: The pancakes and chiliquiles at the grill are amazing. Say hi to Mario! He is great! 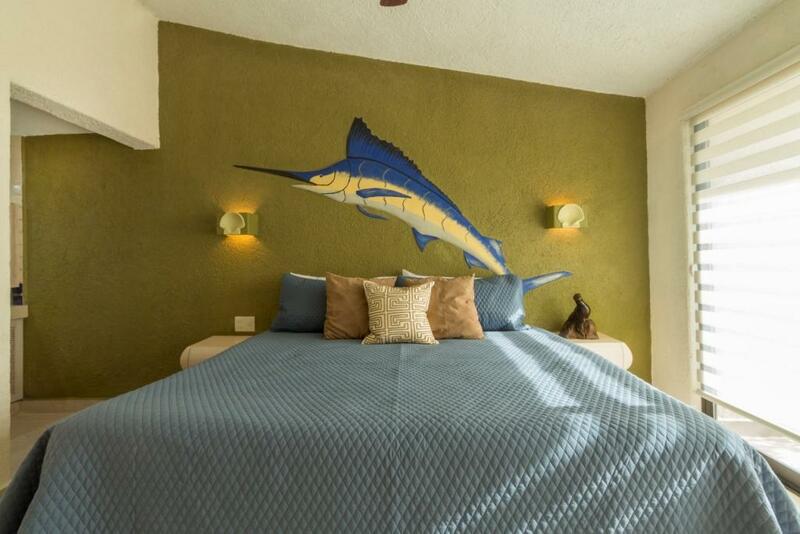 PPS: He will also cook up any fish you catch….mmmm, best Dorado ever! 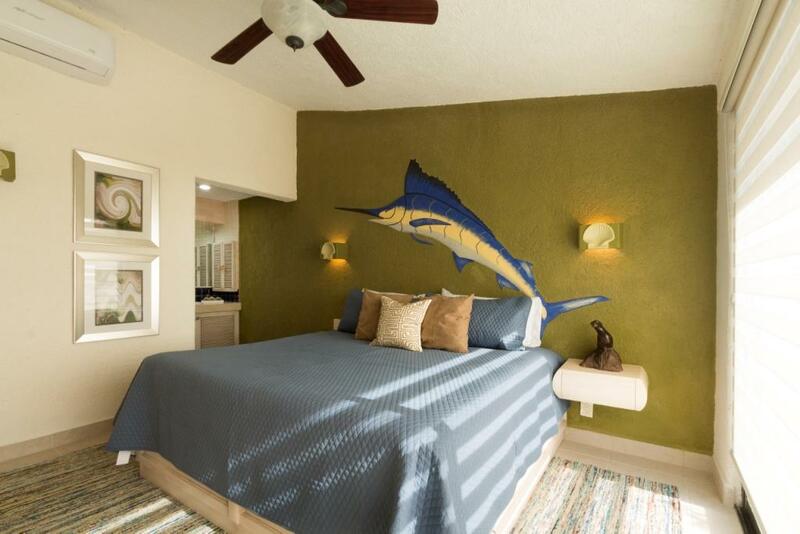 Room Tip: Best rooms have a view of the ocean. 2nd floor offers a bit more privacy. We have rented Terrasol unit 219 on several occasions and just can’t get enough of it! 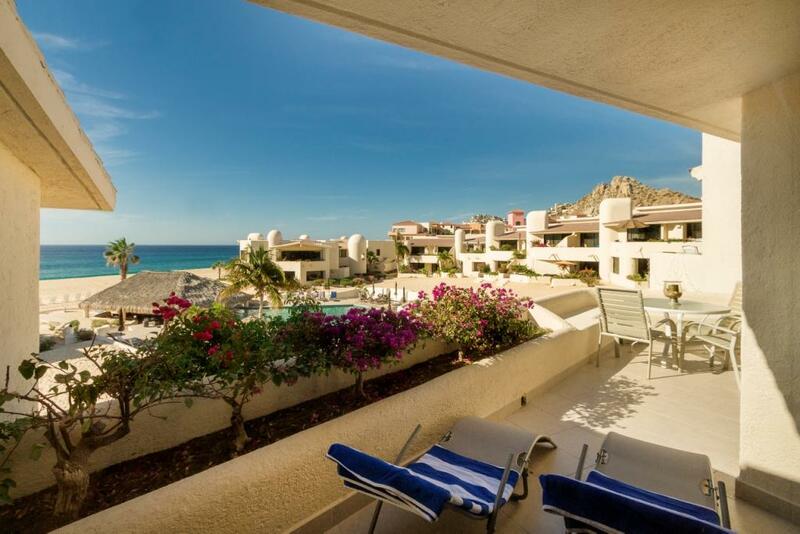 Perfect wide ocean view as well as a view of the pool! When you first walk in, there’s a kitchen filled with modern amenities as well as a washer dryer that makes everything so much better! That’s not the only good thing about this place.. We were welcomed with a very charming host to check us in, and it made us feel like we were at somewhere very exclusive. In fact, it feels like that all throughout the stay with the peace and quiet. Room Tip: High floors have better views of the ocean!